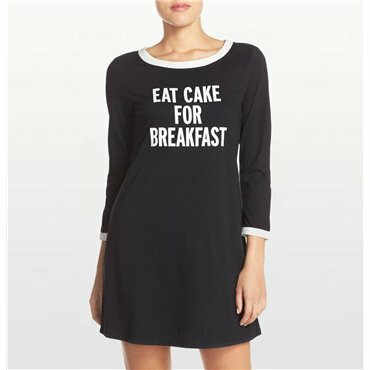 Kate Spade New York soft & comfy jersey sleepshirt with cute contrast trim. An adorable monkey print allover this supercute scoop-neck henley nightshirt branded with a fun Munki Munki monkey at the comfy thumbhole cuffs. Pink Sheep Print on a Soft ribbed jersey fashions a fun henley top with three-quarter-length sleeves and matching pajama shorts cinched by a sweet drawstring. Have a Lazy One in our "wildly popular" cotton onesie pyjamas with back flap.There comfortable, practical and cute, you'll love these unisex pyjamas for chilly nights. Have a Lazy One in our "wildly popular" Blue Tall End cotton onesie pyjamas with comedy back flap.There comfortable, practical and cute, you'll love these unisex pyjamas for chilly nights. 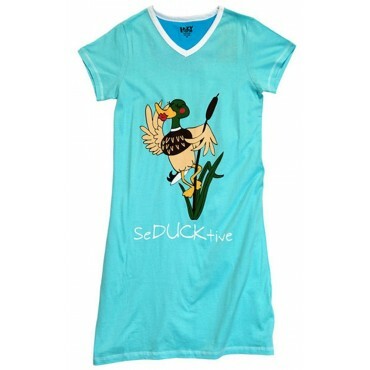 You'll absolutely love this Seducktive V-neck nightshirt.Whether you wear it to simply sleep in or to just lounge around, you can count on looking unique!